How to watch Pasión de Gavilanes: Season 1 (2003) on Netflix Singapore! Yes, Pasión de Gavilanes: Season 1 is now available on Singaporean Netflix. It arrived for online streaming on October 5, 2017. We'll keep checking Netflix Singapore for Pasión de Gavilanes: Season 1, and this page will be updated with any changes. Three brothers seek to avenge the tragic death of a loved one, but become emotionally entangled with the daughters of those they hold responsible. Three brothers use seduction to avenge a relative's untimely death. A perfect plot indeed. That is, until love blooms. Season 1 of Pasión de Gavilanes has 42 episodes. Because different Netflix countries have different availability for episodes, you'll need to check the episode listing below to see which are available in Singapore. Town gossip spreads of young Libia's secret romance with a rich older man, while her brother Franco woos a dive bar singer with a seedy side job. A new circumstance leads the Reyes brothers to agree on Libia's future. Norma recalls a traumatic event. Fernando plots to force Bernardo's hand. Libia hears in town what happened to Bernardo. Hortencia convinces Libia to go to the Elizondo ranch. There, she meets with disaster. Libia makes a desperate decision. Gabriela finds Libia's photo. Fernando makes plans to live alone with Norma. The Reyes brothers learn Bernardo lied. The Reyes brothers learn what happened the night Libia visited the Elizondo ranch. Resentful Eva sees an opportunity to get revenge against Gabriela. The Reyes brothers infiltrate the Elizondo household under a false cover. Rosario refuses to give up her lifestyle for Franco. Jimena seeks attention. Óscar proposes a revenge plan to Juan that won't land them in jail. Gabriela returns from her trip and meets the new workers. Juan sets eyes on Norma. The Reyes brothers pursue their first target. Eva has a change of heart. Armando threatens Franco. Franco accuses Óscar of having an ulterior motive. Norma is unsettled by Juan. Eva recalls her painful past. Gabriela confesses a regret to Eva. Jimena secretly meets Franco away from the ranch. Rosario bans Franco from the bar. Gabriela has plans for Jimena and Sarita involving the Uribes' nephews. Juan wins Norma's admiration. Franco suffers grave consequences after ignoring Armando's warning. 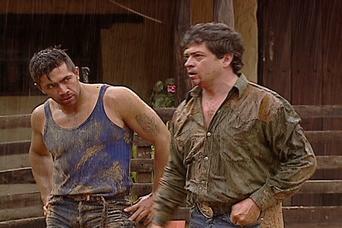 Juan and Óscar argue over an offer of help, and later confront Rosario at the bar. The Uribes' nephews become frequent guests at the ranch. The Reyes brothers add a member to their household. A mishap brings Juan and Norma closer. Jimena and Sarita go on a date with the Uribes' nephews. Juan's words make Norma wonder. Rosario feels the backlash of cutting ties with Armando. Norma confesses her feelings for Juan to Eva. Franco gets revenge for being attacked. Jimena makes a startling announcement at the dinner table. Eva voices her concerns about Juan to Norma. The Reyes brothers receive an unexpected visitor at their home. Jimena uses her ticket to freedom. Armando asks Fernando for a favor. Raquel and Gabriela set a deadline. Norma arranges a rendezvous with Juan, and sets a firm boundary with Fernando. Jimena makes a promise to Franco. An upset Eva drops a bombshell on the Elizondo family. Sarita becomes suspicious of Norma. Jimena has an awakening. Leandro follows Jimena to find out who her secret boyfriend is. Gabriela upsets Eva with a special request. Ruth's arrival shocks the Reyes brothers. Eva disobeys Gabriela. Norma and Juan take a big risk. Fernando follows a family member's bad advice. One of the Reyes brothers catches Ruth's eye. Rosario returns to work at Alcalá Bar. Norma asks for a divorce. Fernando takes desperate measures to win Norma's sympathy. Ruth makes Óscar nervous. Óscar reluctantly agrees to go out with Ruth. Jimena is miffed after being abandoned during a date. To Franco's dismay, Armando gets a lucky break. Juan makes a scene in front of the Elizondo family. Jimena executes a calculated revenge plan. Fernando puts Norma on the spot at the dinner table. Armando puts up a false front. A case of mistaken identity lands two innocents in a grim situation. Another witness catches Juan and Norma together. After being questioned, Armando gets an unpleasant surprise. The Reyes brothers and the Elizondos are brought closer together by their shared crisis. A distraught Gabriela seeks comfort from her father. Jimena gets to know Óscar, who recalls a painful time in his youth, and finds unexpected stardom. The Elizondos commit an oversight. A dinner with Ruth becomes emotional for the Reyes brothers. A palm reader at a carnival predicts Juan's future. Franco and Rosario argue over her boundaries of her job duties. Óscar goes an eerie outing with Ruth. Juan shows Norma the reality of his life. The Elizondos learn what's wrong with Norma. Armando tries to make Rosario jealous. Norma is pressured to stay married. Jimena gives Óscar a test. Norma asks Eva to give a letter to Juan. Ruth's curiosity is piqued when Juan calls her Libia. Armando employs a new tactic to get Rosario back. In Santa Clara, Norma witnesses a shocking scene that brings her to a decision about her future. Rosario is frustrated with Franco's lack of ambition. Norma makes a choice between duty and love. Armando's manipulations affect Rosario. 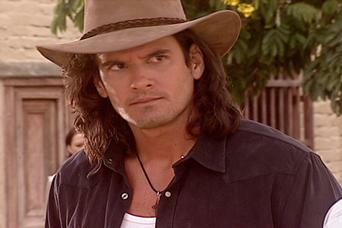 Leandro tells Jimena of Ruth's close relationship with Óscar. Óscar puts his foot down over Jimena's wedding. Juan decides to face reality and force the Elizondos to do the same. Gabriela and Sarita have a scare. Óscar and Jimena set a careful plan in motion. Sarita becomes suspicious and investigates. 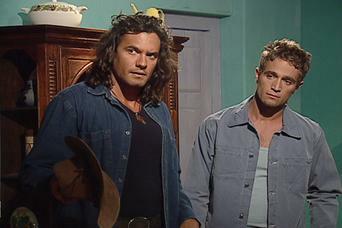 The Elizondos demand an explanation from Juan and Franco. Gabriela and Sarita coerce Jimena and Óscar into returning to the ranch. Rosario learns Armando gave Pepita a ring. Juan threatens to disown Óscar. Gabriela decides what to do about Jimena and Óscar. Juan prepares to reopen the bakery. Pancha warns Franco he's in danger of losing Rosario. 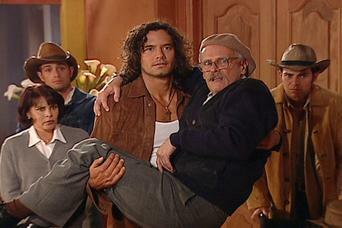 Óscar asks Franco to make a sacrifice. Tensions between Rosario and Pepita boil over. Jimena has a rough first night. Rosario gets a job offer. Jimena finds a note with strangely familiar handwriting. Ruth asks Leandro for a favor on behalf of Óscar. Rosario issues Franco an ultimatum. After hearing horrifying gossip about Jimena and Óscar, Gabriela takes action. A turn of events brings Norma and Juan face to face. Jimena decides where she wants to live. Juan and Norma can no longer hide their feelings. Fernando overhears a name, and comes clean to Gabriela. Gabriela begs Fernando not to move out of the ranch. Norma takes up a new residence. Eduvina pays Franco a visit at the fruit stand. Franco contacts Eduvina. Norma goes to the Reyes home for a dinner date. Gabriela's social life suffers. 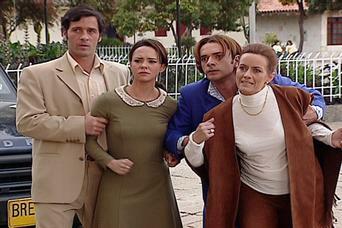 Raquel demands that Leandro fire Óscar. After setting some ground rules with his new employer, Franco accepts an unusual, high-visibility job, and later comes home to a surprise.